On the second Monday in October, the Heard Museum joins a variety of cultural groups, numerous cities and a handful of states in celebrating Indigenous Peoples Day. 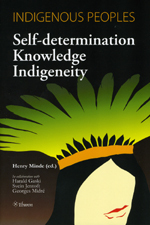 Proposed more than forty years ago, a delegation of Native Nations suggested in 1977 an Indigenous Peoples Day during the United Nations supported International Conference on Discrimination Against Indigenous Populations in the Americas. The city of Berkeley, California pushed the idea further with the inaugural “Day of Solidarity with Indigenous People” on October 12, 1992. At the time, Native American activists influenced the City Council to officially supplant the federal Columbus Day holiday as a righteous response to a planned quincentennial celebration to honor Columbus’ “discovery of America”. The recognition of the need to highlight the injustices against while honor the contributions of indigenous peoples expanded globally when the United Nations first declared August 9th as International Day of the World’s Indigenous Peoples in 1994. Mere recognition shifted dramatically this past August when the United Nations proclaimed 2019 as the International Year of Indigenous Languages as a means to spur initiatives related to the disturbing number of endangered indigenous languages. Here are four edited works from the Library collection discussing the impact on and the influence of indigenous peoples. These examples bringing together a wide variety of global scholarship are currently on display in the public reading area of the Library. Please feel free to visit the Library to review these or any other items of interest in the Library and Archives collections. For more details or additional collection information, click on the link labeled Library Catalog Search located in the pull-down menu of the Library tab on the Heard website.